Do androids dream of electric instruments? 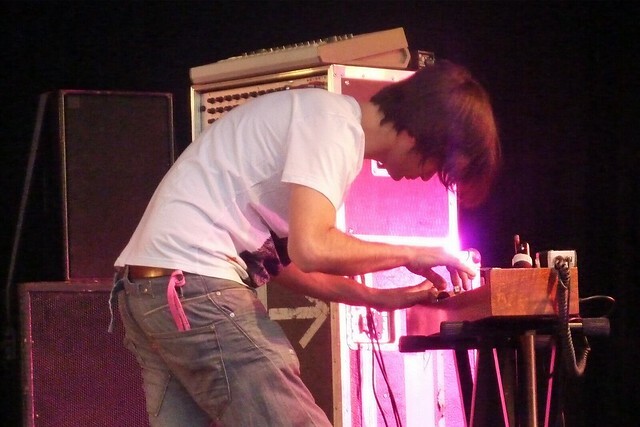 Since its invention in 1928 the ondes martenot – like its cousin the theremin – has won its way into the hearts of composers and listeners from all musical backgrounds, from early pioneers such as Messiaen, Varèse and Boulez, to modern-day champions that include Radiohead’s Jonny Greenwood and Daft Punk, not to mention its appearance on countless film scores. The instrument’s inventor Maurice Martenot trained as a cellist. His turning point came while working as as a radio engineer during World War I and the beguiling sounds he heard down the cans. The war over, Martenot dedicated himself to finding a way to marry those sounds with the expressive qualities of a musical instrument. The result – originally called the ‘ondes musicales’ (musical waves) – was first introduced to the world in a concert in Paris on 20 April 1928. Martenot continued to develop the instrument until his death in 1980, making modifications with each iteration. Some say no two ondes are the same – an individuality which only adds to the instrument’s allure. The instrument’s essential components, though, have been more or less consistent since the early 1930s. The ondes is monophonic, meaning it can only make one sound at once – like the human voice. The player controls pitch with their right hand, and all the sound – that includes volume, timbre, articulation and so on – with their left; the left hand is sometimes described as similar to the string player’s bow, or the wind player’s breath. The left hand has access to an array of controls, chief among which is a pressure button to control the volume – a seemingly simple device that in the hands of the experienced player allows an amazingly diverse range of articulation and attack. The pitch, meanwhile, is controlled either through a keyboard, or with the ruban, or ribbon controller: a wire that runs in front of the keyboard, which can be pulled by means of a ring worn on the index finger. Many pieces require the player to switch rapidly between the two means. The instrument’s makeup gives the performer extraordinary expressive power. As renowned ondes martenot player Cynthia Millar says, the instrument ‘combines a pianist’s technique, a string player’s technique and a vocal technique. It’s the most unelectronic electric sound there ever was, and I should think ever will be’. Combine this unique character with the instrument’s seven-octave range, and its similarly expansive range in volume, and you have something that is like a superhuman singer. Adès takes the instrument to its extremes, says Millar, for whom Adès wrote the ondes martenot part in The Exterminating Angel. ‘This part takes me further out to the edges of the instrument than anything I’ve ever played’, she says, adding ‘and that goes with the sense of the whole piece, which takes us further out to the edges of anything I can think of’. What better instrument to push us to these extremes than the unearthly, supernatural sounds of the ondes martenot?